Microsoft is out to thwart me. For weeks now I've been using CoLinux (0.6.3/FC1 upgraded to 3) on the ThinkPad that's been issued to me by the company I'm consulting for. Unbeknownst to me, Windows silently installed an update that ate my TAP32 driver. The CoLinux wiki says that the TAP32 driver should act as a bridge between your connection to the Internet and your CoLinux installation via Windows Connection Sharing. It's worked for a while, and it still works. Sort of. 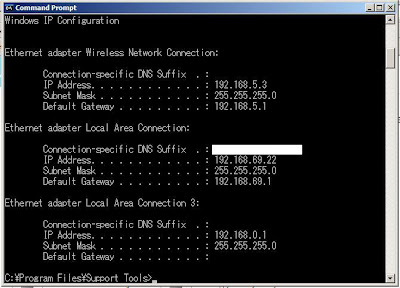 What's changed is that my TAP32 adapter has disappeared from the list of LAN connections and I'm not longer able to switch Connection Sharing sources between my ethernet and wireless adapters. Presently, it's stuck being shared via my wireless adapter. What's weirder is that the TAP32 driver shows up in ipconfig. Has this happened to anyone else? How can I get my TAP32 driver back so I can choose which network connection gets shared to my CoLinux installation? Help!